In September alone, Vienna’s lenders have racked up a failed debt sale, a quasi-profit warning and a fresh bailout. The largest banks are less levered, but have weaker solvency. Despite Raiffeisen Bank’s new cost-cutting drive, both it and peers will probably need more capital. 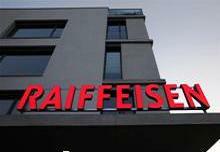 Raiffeisen Bank International said on Sept. 24 that it intended to cut costs by up to 450 million euros by the end of 2016. A week earlier the bank on Sept. 16 raised its forecast for bad loan provisions by as much as a fifth, or 1.2 billion euros, this year, heightening concern about its emerging markets exposure. Raiffeisen’s peer Bawag put issuance of Tier 2 capital on hold on Sept. 18 after international investors asked for a bigger premium than the lender was willing to pay, IFR reported. The International Monetary Fund said on Sept. 10 that Austria needed to accelerate the restructuring of its banks. Austrian finance ministry officials said on Sept. 3 that selling off bailed-out Hypo Alpe Adria could cost taxpayers up to 5.4 billion euros in fresh capital by 2017, after agreeing a plan to clean up the bank with the European Commission.